Ås Kyrka, which is remarkable for its over-proportionally broad tower, dates from the 12th century and is the southern most church on the island of Öland. 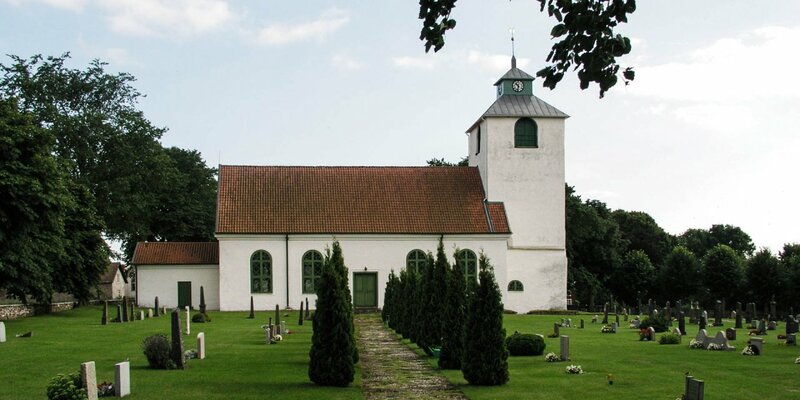 It is located between the historical settlement Näsby and the former royal estate Ottenby. Ås Kyrka unites several special features. 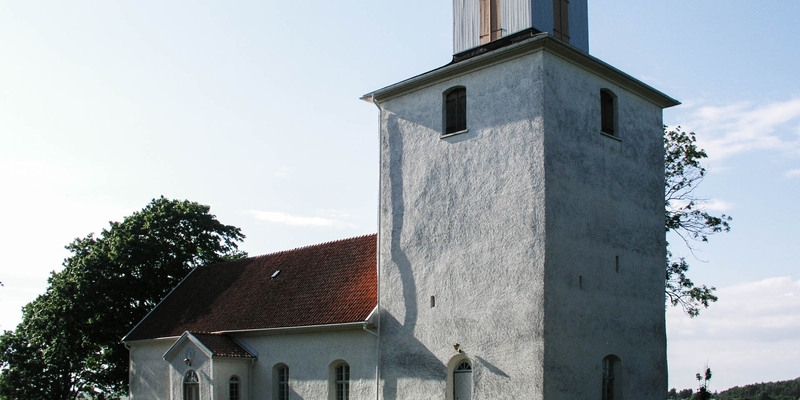 First, it is one of the very rare churches in which the tower is on the east side, the altar side of the church – the only one on Öland. 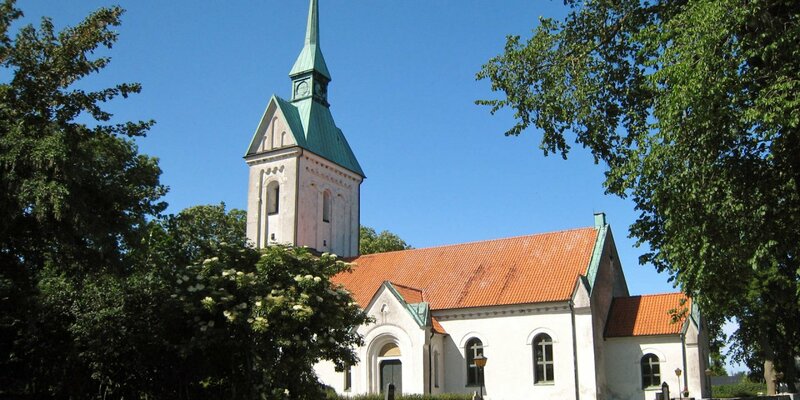 Second, it is the oldest so-called hall church on the island, since its interior was converted into a large nave around 1770 as the first church on Öland. 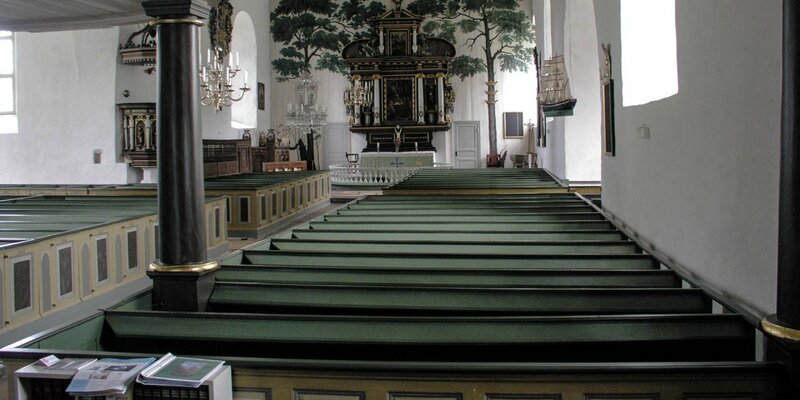 And third, it is one of the few Swedish churches in which the pulpit is still in the historical position, on the wall behind the altar and not on a side wall of the church. Another church on Öland with the same position of the pulpit is, for example, the Hulterstads Kyrka, about 25 kilometers further north. The oldest furnishings and sacred objects in the church date back to the 18th century. These include the altarpiece, which was originally created in 1749, but was rebuilt in 1820 for combination with the pulpit. Furthermore, the two large wooden sculptures, also from the 18th century and three of the four large brass chandeliers.